Wondering who discovered lithium? Discover lithium’s origins here. The story is more interesting than you ever imagined! Some say it was the ancient physician Soranus of Ephesus, who discovered lithium as a treatment for both mania and melancholia. In the 2nd century AD, Soranus treated manic patients with the alkaline waters his town, which, as we now know, contain very high levels of lithium. From the ancients up until today, bathing in mineral pools and drinking mineral waters, have been popular treatments to promote mental as well as physical health. Who discovered lithium is a hard question to answer because so many early advocates of spas containing lithium knew the water to be beneficial, but had not isolated lithium or identified its specific link to manic depression. Johan August Arfvedson, a Swedish chemist, discovered lithium in ore from a Swedish iron mine in 1817. Arfvedson originally discovered lithium in petalite ore, and subsequently detected it in the minerals spodumene and lepidolite. William Thomas Brande and Sir Humphry Davy used electrolysis on lithium oxide to isolate the element in 1818. It can therefore be said that several individuals paid a role in the element’s original discovery. It was the Australian doctor, John Cade, who truly discovered lithium. It was Dr Cade who first discovered the role of lithium in controlling bipolar disorder. Dr Cade, along with many others, suffered terribly as a prisoner of war in the infamous Changi POW camp that the Japanese operated in Singapore. He showed great courage and compassion as a physician during this period, and some believe his POW experiences stimulated his interest in mental health. After WWII, Dr Cade, who was also a psychiatrist, began his experiments with lithium. As with many important scientific breakthroughs, Dr Cade’s discovery came about as an accident. His original theory was that manic patients had a metabolic disorder, indicated by excessive urea in their urine. In other words, Cade was researching the historic misconception that there was some connection between mania and urea. Cade tested his theory by injecting uric acid into guinea pigs. To do this he used lithium urate, simply because it was so highly soluble. To Cade’s surprise, he found this produced a calming effect instead of increased excitation. Through a series of very careful experiments on both guinea pigs and people, it was proven that lithium had a pronounced effect on mania. – this happened at a time when manic depression either went untreated, or cures were attempted through crude, early forms of lobotomies and electric shock treatment. It can be said that it was John Cade who discovered lithium, in the sense that he was the individual who truly unleashed the power of lithium in helping the bipolar community. 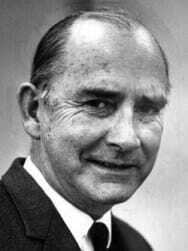 The Australian doctor John Cade experimented with lithium in the 1940s. Medical researchers around the world were excited by this breakthrough and some trials did follow. However, lithium had previously been made available in the US in several forms (even as an easily purchased food seasoning), and used as a popular “cure” for a variety of conditions where it actually led to toxicity and death. This had caused such products to be withdrawn from the market, and the American medical establishment to be skeptical about lithium claims and very cautious in relation to risking side effects and overdose. Thus lithium was not widely adopted as a treatment for manic depression in the wake of Dr Cade’s breakthrough research in the late 1940s. The American doctor, Ronald R. Fieve, discovered lithium in the US in the sense that he encouraged by the Director of the New York State Psychiatric Institute, began systematic clincal trials of lithium in the late 1950s-1960s. By the late 1960s, interest in lithium for bipolar amongst US medical researchers was very strong. The FDA formed a lithium task force, which included Dr Fieve, in 1969. By 1970 the FDA had once again approved lithium as a prescription medication. 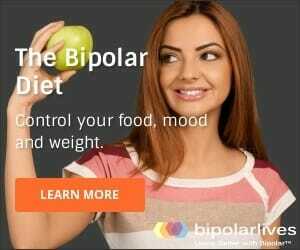 The widespread success of lithium in treating both poles of manic depression, and the continued refinement of dosages and reductions in side effects, has cemented lithium as the front line treatment for bipolar disorder. So who discovered lithium? As you can now see, this question has several answers! The person who discovered lithium, in a technical sense, may be Johan Arfvedson, but it was Dr John Cade who discovered the great secret and value of lithium, and Dr Fieve who pioneered lithium’s use in the US.